4K is starting to break into the consumer market on a large scale. Similar to any new technology, initial adoption rates are slow, but accelerate over time. The same hurdles of infrastructure, cost and lack of high definition content that plagued HD exist for 4K, but they are being overcome at a much faster rate. The high prevalence and penetration of consumer electronics in modern society makes it easy to forget how recently digital technology came into existence. Digital audio wasn’t available to the average consumer until the CD was released in 1982. Digital radio, in the form of HD-Radio, was not widely adopted until the early 2000’s in the United States. The NTSC, the most prevalent analog television standard in North America, started in 1941. In 1953, it was updated to allow color television. This standard remained dominant in the United States until June 13th, 2009 when the FCC required television stations nationwide to broadcast exclusively in ATSC, a digital format. The ATSC was developed in the early 1990’s partially due to the expansion of the personal computer and set the stage for high definition video by allowing wide aspect ratios, higher resolutions, and reduced bandwidth requirements via digital compression. The first mass produced HDTV’s shipped in 1998 and cost around $10,000 (adjusted for inflation). A high price to pay considering that HD content was limited to very few local broadcasts. Recording in HD was never the bottle neck. The primary limiting factors to increases in resolution have always been the sheer bandwidth and storage volume required. Because of this, HD broadcasts were slow to catch on. The first sporting event publicly broadcast in HD was Super Bowl XXXIV on January 30, 2000. Satellite television companies didn’t begin to support HD until 2002 and cable television until 2003. In 2003, Blu-ray players beat out HD DVD and solved the storage problem but slow increases to bandwidth meant that HD broadcasts were not widely adopted by major networks until 2008. Parks Associates recently released research that shows that 4K TVs will have a much faster adoption rate than HD TVs. It will take as few as 10 years for 4K TVs to accomplish what HD did in 15 years. Though consumer 4K models were first released in 2012, prices have already dropped a significant amount with some models costing under $1000. While developing the infrastructure to support TV broadcasted 4k content will take a substantial amount of time, the transition should be much easier due to the existing digital standard. In the meantime, there are content alternatives to fill the void. Blu-ray should have a new optical storage format for 4K in 2015, only 3 years after consumer release compared to the 5 year delay it took for HD. Content providers like Amazon and Netflix already have 4K streaming available and are regularly adding new 4K content. Samsung and Sony have produced 4K media players that come pre-loaded with 4K movies and documentaries. Although television owners, may not notice much of an advantage until more content is available, computer users will notice an immediate benefit. I believe personal computers will be the primary driving force behind 4K adoption. Modern operating systems can easily handle 4K resolutions and higher. Apple has already upped the ante and released a 5K Retina display on their newest iMac. 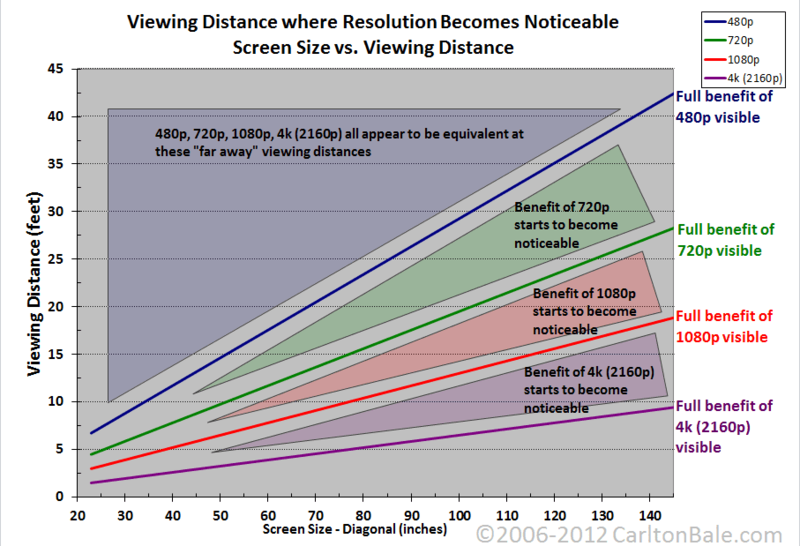 Because people sit so much closer to their monitors, the increase in pixel density has a much greater effect. Videos, images and text appear much sharper. Eye strain is actually reduced. Creative professionals can view and edit their film or images in their native resolution. Even if an image or video is eventually compressed or downsized, edits made in a higher resolution result in a better end product. On 4k screens capable of multiwindowing, producers in a video room can choose to display four 1080p signals in 2x2 video wall or nine 720p signals in a 3×3 video wall. Modern graphics cards allow games to be rendered in 4k resulting in a sharper images and reduced need for anti-aliasing. The storage requirements for 4K content are immense, about 100 gigabytes per movie. However, the relatively low price of HDD storage at $25/TB makes downloading and storing movies on your computer a practical solution for early adopters. Video conferencing can also benefit from 4k. One of the pain points with videoconferencing is zooming.  With 4x as many pixels as HD, the loss of detail when zooming is cut down significantly. The higher resolution also allows for more accurate facial recognition and other features. Projector mapping is huge in the live event space but stretching to projection to fit large screens can result in a muddy image. 4K allows for visual fidelity to be maintained at larger sizes or increased for smaller displays. Although you shouldn't be able get any tangible benefit from it, Sharp has created a5.5 inch 4K display for smart phones. It will, however, drain your battery much faster than similarly sized HD display. Overall, 4K adoption is likely to be quicker than HD. Manufacturers are ramping up production at faster rates and more devices are capable of displaying 4K content. Although infrastructure and content are still limiting factors, major corporations are actively working to overcome these and at an earlier point in the life cycle. I, for one, am looking forward to having a large, affordable 4K TV with plenty of content and glad to hear that it will be sooner, rather than later.